Ted Danson Joins ‘CSI’ As Series Regular!!! Two weeks ago, talks started with Ted Danson for him to take on the team leader and lead role on the original ‘CSI’ series for CBS. 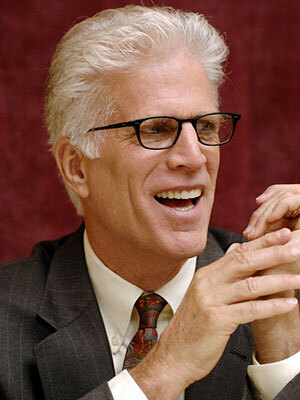 Things must have gone well because now Ted Danson will star in ‘CSI’. He will replace the role Laurence Fishburne recently had. Danson has proved he is one hell of a likable actor and fun to watch on screen. His work was amazing on FX’s ‘Damages’, and his work on HBO’s ‘Bored To Death’ is some of my favorite tv watching in recent memory. I just hope he plans to have the same amount of air time on ‘Bored To Death’. It seems like he will. Enjoy the press release below. Ted Danson will remain a series regular on the critically acclaimed HBO series,“Bored to Death.” He has also recently garnered accolades for his roles on “Damages” and “Curb Your Enthusiasm.” Ted Danson will next be seen starring opposite Drew Barrymore and John Krasinsky in “Everybody Loves Whales” to be released in January 2012. Now entering its 12th season, CSI: CRIME SCENE INVESTIGATION is the most-watchedtelevision show in the world. CSI is produced by CBS Television Studiosin association with Jerry Bruckheimer Television. The executive producers are Jerry Bruckheimer, Carol Mendelsohn, Anthony Zuiker, Ann Donahue, Don McGill, Jonathan Littman and Louis Milito. James Van Der Beek Attached To Lead Role On ‘CSI: Cyber’!!! HBO’s ‘Bored To Death’ Is Headed To the Big Screen!!! Film Review: ‘Ant-Man and the Wasp’! This entry was posted on Wednesday, July 13th, 2011 at 12:10 pm	and is filed under Film, News. You can follow any responses to this entry through the RSS 2.0 feed. You can skip to the end and leave a response. Pinging is currently not allowed.